Indie games are definitely games that you have already heard of before, especially if you are one who fancies gaming like any other gaming enthusiast out there. The indie games at indiegamesday.com at stand for Independent video games and what makes it more unique than game titles in the mainstream of the market, is the fact that these games are developed with very limited budget that are more often than not, made without financial backing of a video publisher. Although this means that their quality may not be on par with mainstream games of the industry, there are several games here that have left numerous players in awe of their qualities and other characteristics. Of course, even this gaming sector has their own types and if you are intrigued and want to learn more about indie games, you need to see the best indie game sites . This kind of game is basically adventure games that are made the Indie way. Just like any other video game delving into the adventure genre, you'd be plunged in a story-driven and engaging gaming environment, where you'll be playing the role of the protagonist. There's no doubt that every corner of the story and flow of the game would leave you begging for more and this would surely be the type of indie game that you'll want to add to your gaming collections. There could also be some adventure games mixed with intriguing puzzles, literature concepts and many more, making this kind of games incredibly worthy for anyone to play. 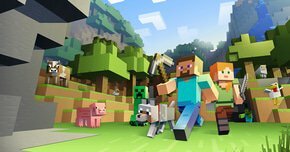 If this kind of Indie game is your cup of tea, you'd surely want to Play Minecraft, Stardew Valley, No Man's Sky and many others. These aforementioned games have their own beauties. Some would engage you with their storyline while some would allow you to revel in a superb environment where creativity is something that you'll surely be able to use. The Undertale, Terraria, Darkest Dungeon along with a whole lot more - these are just some of the titles for RPG Games in the Indie category that you'll surely love to play. These games may not be like Mainstream RPG games out there that banks on over-the-top graphics and open-world system that definitely costed companies millions of dollars, but there's little to no doubt that their world is as good as any other games in the industry, if not better. Role Playing Games have already become synonymous to Dungeons and Dragons and if you have played it before, then you ought to already have an idea about how the characters and skills work in the RPG world. Shooter games are definitely by far, one of the most popular genre when it comes to video games. They could come in diverse forms - from 2D to 3D, and from team-based games to story-mode games. 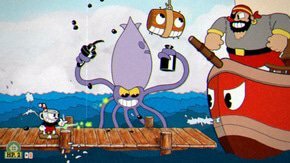 There is also no lack of Indie games packed with incredible shooting environment, one of which that you'll surely grow fond of is Cuphead. The Cuphead game boasts a classic-looking graphics that will surely make you reminisce the advent of Mickey Mouse and other cartoon characters of the past. What you'll surely be surprised though, is that despite its seemingly innocent graphics, Cuphead is all about the players fighting powerful bosses and overcoming challenges, all for the sake of answering to their debt to the Devil. In fact, even their tagline is quite ominous which implies that you should not make deals with the Devil. Nonetheless, it's one exciting game that you certainly should not pass up. When it comes to Most Fun Indie games, there's little to no doubt that many would surely be pointing to simulation games. More often than not, mainstream simulation games showcase real aspects of life to perfection, which will surely make you feel as though you're playing with real life. This may not be that fun for many. However, when it comes to Indie games, Simulation games become more fun and exciting, as indie game developers put a fun twist to Simulation games. Some may say as well that there are Simulator games that can be deemed as failures with the physics of their environment and yet, these type of games are what exactly piques the interests of myriad players across the globe. It is plain to see that there are plenty of best new indie games today that are surely worth your time - from shooter games, simulation games, combat games, RPG, MMO and many more. Although they may not be as jam-packed with heavy graphics and features like Mainstream games, the fact that they are made with limited budget and a small team makes these games incredibly impressive and it is definitely highly recommended that you try them out for yourself.